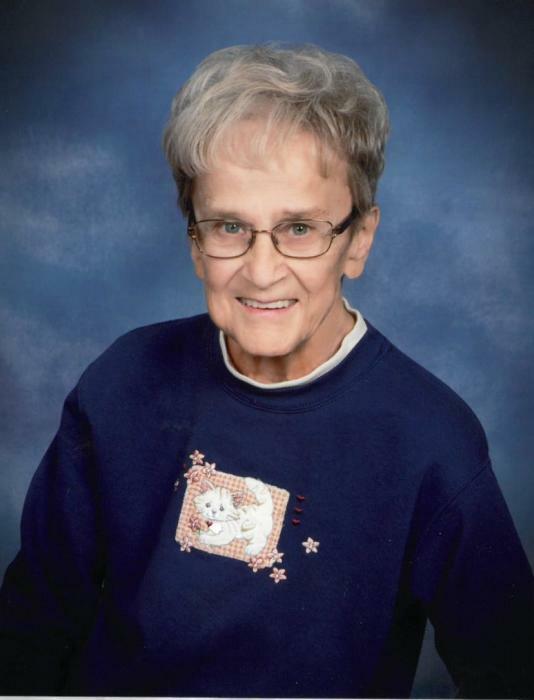 Funeral services for Wanda Marie Olson of Warroad, MN will be held on Wednesday, April 3rd at 2:00 PM at St. Mary's Catholic Church in Warroad. A visitation will be on Tuesday from 5-7 PM at Helgeson Funeral Home in Warroad. Interment will be at the St. Mary's Cemetery at a later date. Wanda Marie Olson passed away March 28, 2109 at the Sanford Hospital in Fargo, ND at the age of 79. Wanda was born on November 14, 1939 in Warroad, MN to Alice (Meier) and Howard Urtel. After graduating from Warroad High School, she finished her teacher training in Thief River Falls. She and Stanley Olson were married on July 31, 1959 and started their family. Wanda worked as a teacher in Salol, MN for 12 years, then went on to teach in Warroad, MN. She taught high school, was a secretary to the H.S. Principal and the assistant secretary to the Superintendent. She was a clerk for the Minnesota DNR from 1971 until her retirement after 23 years. She is survived by her husband, Merle “Stanley” Olson of Warroad; sons, Jim Olson and Curt Olson of Warroad, Richard Olson of Minneapolis and David Olson of Elm Grove, WI; grandchildren, Corey, Sawyer, Jay, Charlie; step-grandchildren, Max, and Michael. She was preceded in death by her parents; sisters, Margaret Cole and Barbara Sather; twin-brothers, Loren and Lawrence; and grandson, Tony.